Earth Day from EcoKids. Printables and activities from this fine Canadian site, which is listed in our Science - Biomes & Ecology section. Earth Day from Primary Games features games, activities, coloring, books, postcards, worksheets, and more. 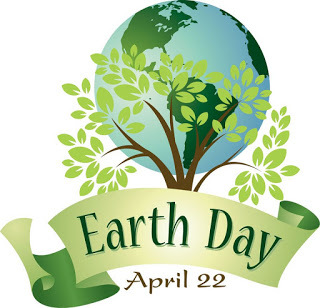 Earth Day from Sheppard Software. Sheppard's great online Earth Day games include memory games, puzzles, word games, and painting. They all work, too! Energy Hogbusters: learn how to outsmart the hogs that waste energy. NIEHS' Kids' Pages Games, songs, riddles, stories, coloring, facts, plenty of links. A good place to go. Nature Watch US Forest Service site. Facts, resources, photo library, web cams, videos. S.K.Worm answers your questions about soil 'n' stuff! "It’s a dirty job but someone has to do it--S.K.Worm, the official annelid, or worm, of the U.S. Department of Agriculture's Natural Resources Conservation Service answers students questions about soil. Even their teachers can’t wiggle their way out of this one! Slither your way through these soiled questions and earn a very special diploma. You might even get hooked on Soil!" Well, it is EARTH Day!